KPMG’s Healthcare analytics platform is designed to address the most pressing analytics demands emerging from current NHS priorities including: Quality Margin Improvement, Placed Based Care and Strategic Transformation Planning. 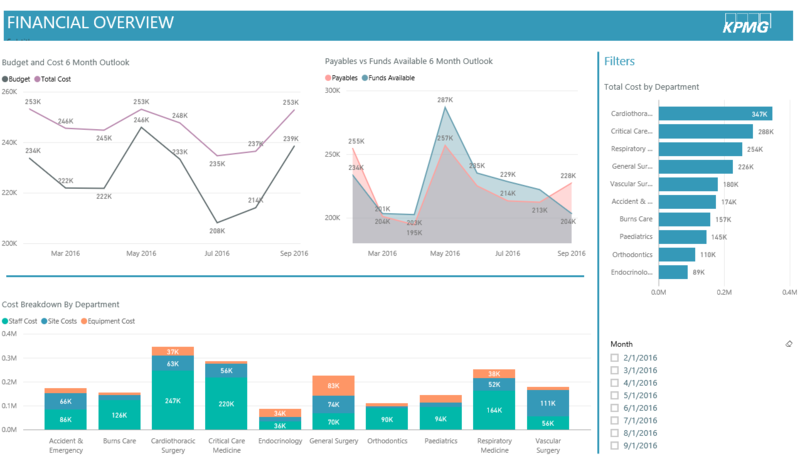 KODE for Healthcare, represents KPMG’s analytics platform for the healthcare sector. 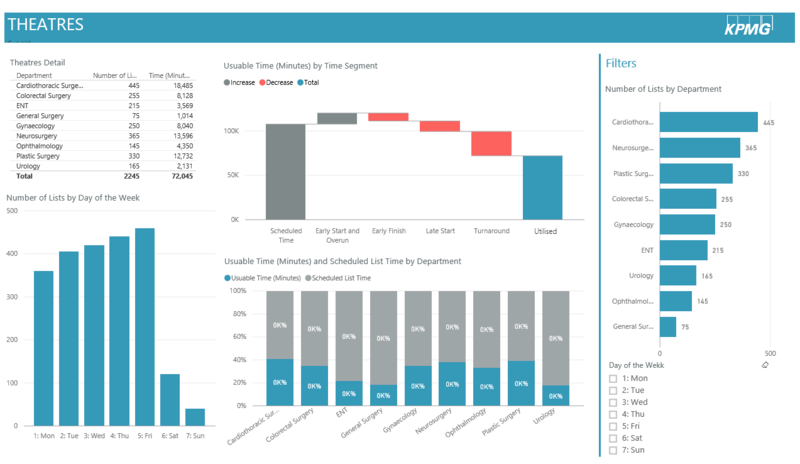 The MS Azure powered data warehouse is being constantly updated, curating a wide range of publicly accessible signals and indicators that help to provide a view into the Quality, Efficiency and Financial performance of Healthcare services. This data is harvested and organized into an accessible way which enables the KPMG Healthcare Analytics Unit to respond to a wide range of analysis demands. 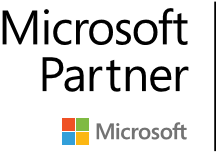 The platform leverages the latest Microsoft technology and makes heavy use of Power BI for dynamic data visualization and interactive data discovery. Quality Margin Improvement: The platform has been extensively deployed to support KPMG’s largest NHS turnaround projects, helping NHS providers to identify £Millions in potentially savings opportunities by benchmarking key areas like Length of Stay, Did Not Attend (DNA) Rates and Workforce. 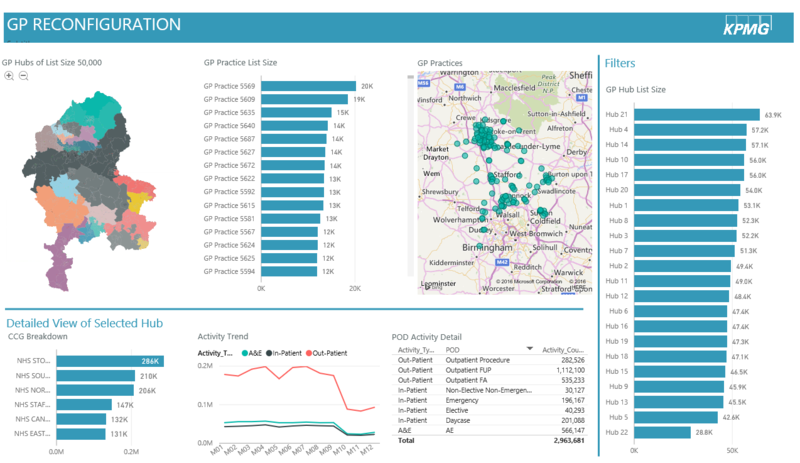 It crucially incorporates deep dive modules that make use of local provider data to better understand hospital throughput, flagging efficiency opportunities in areas like Theatres, Outpatient Clinic Planning and ‘Frequent Flyer’ service usage. Strategic Transformation Planning: With the NHS committed to bridging the multi-billion funding gap the KODE platform is an essential tool for conducting an initial ‘diagnostic’, highlighting the greatest opportunities for cost savings, service improvements and service reconfiguration. The platform merges datasets across several domains including Quality, Affordability, Access and Patient Experience, visualizing them in an accessible and intuitive way to help the identification of key trends and patterns. This has played a key role in establishing the case for change, determining strategic priorities with the support of a strong evidence base. Place Based Care: To meet the challenges of the future, there is increasing recognition local healthcare services will need to collaborate more effectively. This demands the development of systems of care that better manage common resources to deliver more value for local populations. This is a big ask, which demands extensive data analysis at every stage. The KODE platform is being deployed to provide geo-spatial analysis, helping to provide suggestions as to how services can be reconfigured by for example combining local GP practices into Hubs. It uses MS Power BI mapping capability to present a view of performance at a regional and local level, highlighting unwarranted variation and suggesting areas to focus on.